To mark Lamborghini’s 50-year anniversary, renowned Italian pen maker OMAS, has launched a fountain pen that’s as far from traditional as you can imagine. A symbol of the automaker’s prestige, the hexagonal shape clearly alludes to several components of the vehicle. 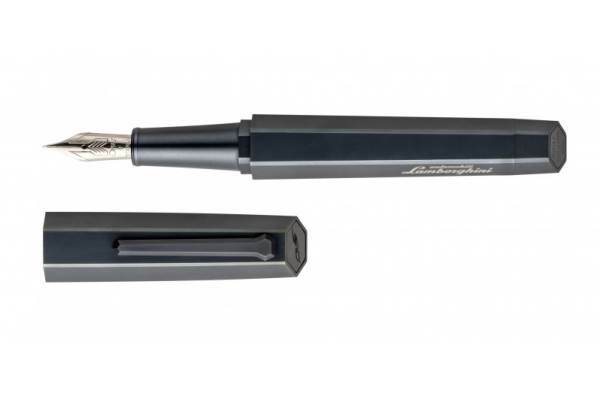 Made fully of titanium, a natural material of superior quality, the Lamborghini fountain pen exhibits the refined style of the brand and features its logo on the barrel, creating a beautiful contrast between the black background and the silver tones of the engraving. The 50th anniversary logo is hand-engraved on the top of the cap, while the nib bears the OMAS logo as well as the serial number of the product, as this is a limited edition of a maximum of 500 pieces. Made of plexiglass, the hexagonal box is modern and minimalist, perfect for Lamborhini’s 50th anniversary.